There is often a stigma attached to mental illness or emotional hardship. Society does not often support or understand someone seeking out mental health services. The stigma can be even more pervasive when it comes to childhood mental health. There are quite a few misconceptions when about counseling for children. Let’s take a look at three of the more common myths. Although therapy is recommended for children with depression, anxiety, or bipolar disorder, a child does not need to be diagnosed with a mental health condition to benefit from therapy. Therapy can be a preventative, proactive way to teach children to care for their mental health from an early age. Youth counseling is also a good way to help children handle difficult times, such as the death of a family member, parental divorce, trauma and victimization, or even stress in general. This unsettling myth leads thousands of children to go without mental health treatment every year. However, a good psychiatrist or therapist can recognize the difference between bad behavior and true mental illness. A child’s home environment may exacerbate mental health symptoms, but home environments cannot directly cause things like learning disorders. Parents can, however, help children by supporting their mental health throughout the therapy process. 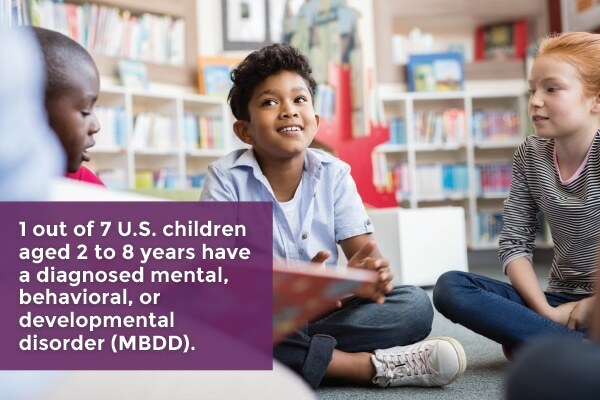 In the U.S., one out of seven children between the ages of two and eight years have a diagnosed mental, behavioral, or developmental disorder (MBDD). Symptoms of these disorders can sometimes lessen over time; however, children with mental health conditions are more likely to “grow into” symptoms or complications than they are to “grow out of” an illness. Failing to get counseling for children who have mental health conditions because you think the condition is short-term may actually prolong the illness or make it more severe. Rather than waiting for the “phase” to pass, support your child in the present to help them have a brighter future. If your child is showing signs of stress or exhibiting unusual behaviors, don’t fall into the trap of believing these myths. Your child’s happiness and future could depend on your support. For more information about counseling for children, call Keri Powell Therapy today.